Polygamy, which was practiced in the early history of The Church of Jesus Christ of Latter-day Saints, is defined as “the practice or custom of having more than one wife or husband at the same time.” It is not a practice which Christendom embraces, as the general consensus is that God explicitly ordained the marriage union to be between one man and one woman. Both the Bible and the Book of Mormon distinctly define God’s standard for marriage in this manner. The teachings found within both volumes of sacred scripture emphasize that it was only at times declared by God Himself that the standard which had been established was to be altered or revised. And Jacob said unto Laban, Give me my wife, for my days are fulfilled, that I may go in unto her. And Laban gathered together all the men of the place, and made a feast. And it came to pass in the evening that he took Leah his daughter, and brought her to him; and he went in unto her. And Laban gave unto his daughter Leah Zilpah his maid for an handmaid. And it came to pass, that in the morning, behold, it was Leah: and he said to Laban, What is this thou hast done unto me? Did not I serve with thee for Rachel? Wherefore then hast thou beguiled me? And Laban said, it must not be so done in our country, to give the younger before the firstborn. Fulfil her week, and we will give thee this also for the service which thou shalt serve with me yet seven other years. And Jacob did so, and fulfilled her week: and he gave him Rachel his daughter to wife also. And Laban gave to Rachel his daughter Bilhah his handmaid to be her maid. And he went in also unto Rachel, and he loved also Rachel more than Leah, and served with him yet seven other years. Modern-day revelation as recorded in Doctrine and Covenants 132:34-35 further clarifies why the practice of plural marriages was allowed. God commanded Abraham, and Sarah gave Hagar to Abraham to wife. And why did she do it? Because this was the law; and from Hagar sprang many people. This, therefore, was fulfilling, among other things, the promises. Was Abraham, therefore, under condemnation? Verily I say unto you, nay; for I, the Lord, commanded it. The question of polygamy is thought-provoking as many people today view polygamy as immoral. The first recorded instance of polygamy in the Old Testament is recorded in Genesis 4:19, “And Lamech took unto him two wives: the name of the one was Adah, and the name of the other Zillah.” Several notable men in the Old Testament of the Bible were polygamists – Abraham, Jacob, David, Solomon, and others all had multiple wives. In 2 Samuel 12:8, speaking through the prophet Nathan, God said, “And I gave thee thy master’s house, and thy master’s wives into thy bosom, and gave thee the house of Israel and of Judah; and if that had been too little, I would moreover have given unto thee such and such things.” And according to 1 Kings 11:3, Solomon had 700 wives and 300 concubines (essentially wives of a lower status). Referring to the above information as a foundation or premise for a discussion on the subject of plural marriages (polygamy), the question that begs an answer is, “Was Joseph Smith commanded of God to institute the practice of polygamy in the early 1840s?” Members of The Church of Jesus Christ of Latter-day Saints believe that as the Prophet, Seer, and Revelator, Joseph Smith had received a revelation from God concerning the practice. Why Did God Allow Polygamy in the Old Testament? To answer this question adequately there are several key factors which need to be taken into consideration. First, current statistics indicate that there has always been a larger number of women in the world than men. Assuming that the same statistics held true in Biblical times, there would have been tens of thousands more women than men. Second, the brutality of warfare in ancient times caused a high fatality rate. And third, due to the patriarchal nature of ancient societies, it was virtually impossible for an unmarried woman to provide for herself. Because women were generally uneducated and untrained, they relied on their fathers, brothers, and husbands for both provision and protection. It should also be noted that unmarried women were often subjected to prostitution and slavery. Given the significant difference in the ratio of women to men, many women would have found themselves in undesirable situations. Therefore, it is plausible that God allowed polygamy to protect and provide for women who could not otherwise find a husband. Thus, a man would take multiple wives and serve as provider and protector for all of them. Albeit, this may not have been the idea or perfect situation, it overruled the dire alternatives of slavery, prostitution, or starvation. In addition, polygamy also enabled the expansion of humanity at a faster rate, thus fulfilling God’s command, “And you, be ye fruitful, and multiply; bring forth abundantly in the earth, and multiply therein” (Genesis 9:7). Latter-day Saints do not profess to understand the full purposes of God for instituting the practice of plural marriage, through His prophets, during the 19th century. Of peculiar interest, however, the Book of Mormon, which Mormons testify is Another Testament of Jesus Christ, identifies one reason for God commanding the practice which is directly in line with why He allowed the practice in the Old Testament. 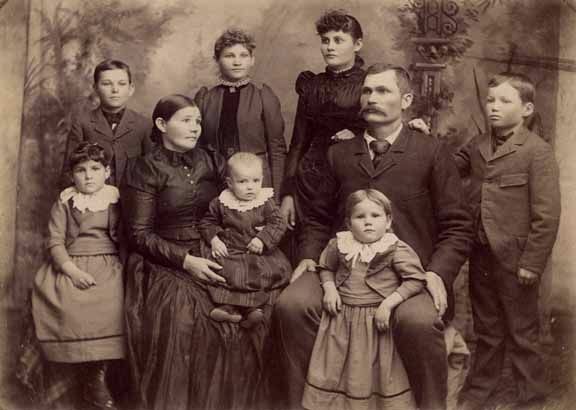 The following words are recorded in Jacob 2:30, “For if I will, saith the Lord of Hosts, raise up seed unto me, I will command my people; otherwise they shall hearken unto these things.” Thus, the commandment was fulfilled as plural marriage resulted in a large number of children being born within faithful Latter-day Saint families. It [plural marriage] also shaped 19th-century Mormon society in other ways: marriage became available to virtually all who desired it; per-capita inequality of wealth was diminished as economically disadvantaged women married into more financially stable households; and ethnic intermarriages were increased, which helped to unite a diverse immigrant population. Plural marriage also helped create and strengthen a sense of cohesion and group identification among Latter-day Saints. Church members came to see themselves as a “peculiar people,” covenant-bound to carry out the commands of God despite outside opposition, willing to endure ostracism for their principles. During the years that plural marriage was taught as a religious principle, all members of The Church of Jesus Christ were expected to accept the principle as a revelation from God, but not all were expected to live the principle. As in the times of the Old Testament, the practice of plural marriage (polygamy) could not have been a universal principle due to the fact that the number of women outweighed the number of men. Although Church leaders viewed plural marriage as a command for the Church as a whole, those who chose not to enter into the practice were still considered to stand approved of God. Accounts left by men and women who practiced plural marriage attest to the challenges and difficulties they experienced, such as financial difficulty, interpersonal strife, and some wives’ longing for the sustained companionship of their husbands. But accounts also record the love and joy many found within their families. They believed it was a commandment of God at that time and that obedience would bring great blessings to them and their posterity, both on earth and in the life to come. While there was much love, tenderness, and affection within many plural marriages, the practice was generally based more on religious belief than on romantic love. Church leaders taught that participants in plural marriages should seek to develop a generous spirit of unselfishness and the pure love of Christ for everyone involved. Although some leaders had large polygamous families, two-thirds of polygamist men had only two wives at a time. Church leaders recognized that plural marriages could be particularly difficult for women. Divorce was therefore available to women who were unhappy in their marriages; remarriage was also readily available. Women did marry at fairly young ages in the first decade of Utah settlement (age 16 or 17 or, infrequently, younger), which was typical of women living in frontier areas at the time. Some Saints viewed plural marriage as a redemptive process of sacrifice and spiritual refinement. According to Helen Mar Kimball, the daughter of Heber C. Kimball, Joseph Smith stated that, “the practice of this principle would be the hardest trial the Saints would ever have to test their faith.” She personally found plural marriage to be one of the “severest” trials of her life, but later testified that it had also been “one of the greatest blessings” of her life. My father’s heart was raised at the same time in supplication, and while pleading as one would plead for life, the vision of her mind was opened, and she saw the principle of Celestial Marriage illustrated in all its beauty and glory, together with the great exaltation and honor it would confer upon her in that immortal and celestial sphere if she would but accept it and stand in her place by her husband’s side. She was also shown the woman he had taken to wife, and contemplated with joy the vast and boundless love and union which this order would bring about, as well as the increase of kingdoms, power, and glory extending throughout the eternities, worlds without end. Lucy Walker recalled her inner turmoil when Joseph Smith invited her to become his wife. She wrote, “Every feeling of my soul revolted against it.” It was not until after several restless nights spent on her knees in prayer that she was able to obtain relief concerning the matter. My room became filled with a heavenly influence. To me it was in comparison like the brilliant sun bursting through the darkest cloud…My Soul was filled with a calm, sweet peace that I never knew. Supreme happiness took possession of my whole being. And I received a powerful and irresistible testimony of the truth of the marriage covenant called ‘Celestial or plural marriage.’ Which has been like an anchor to the soul through all the trials of life. I felt that I must go out into the morning air and give vent to the Joy and gratitude that filled my Soul. As I descended the stairs, President Smith opened the door below; took me by the hand and said: ‘Thank God, you have the testimony. I too, have prayed.’ He led me to a chair, placed his hands upon my head, and blessed me with every blessing my heart could possibly desire. We were living in Nauvoo when I first heard that it was right for men to have two wives. I never thought then of their having more than two [sic]; it looked an awful thing to me, and I said I would not believe it was right, if an angel from heaven should tell me so, And again, I said that if I should hear the Almighty tell and angel to come and tell me it was right, I would not believe it. I knew very well what I thought. I thought it would only be to try my virtue, as Abraham’s faith was tried, when he was told to offer his son as a sacrifice, and I thought the Lord would love me better if I refused to believe in such a heinous thing, for the Lord loves virtuous women…. I was perplexed; I did not have much to say. I felt very serious over it, and made it a matter of prayer. How Does God View Polygamy Today? Even though God allowed polygamous relationships at certain times, the Bible clearly teaches that monogamy, one man married to one woman, is the plan which conforms to God’s idea for marriage. Genesis 2:24 teaches, “Therefore shall a man leave his father and his mother, and shall cleave unto his wife: and they shall be one flesh.” The consistent use of the singular should be carefully noted – man, wife, and flesh, not men, wives, or fleshes. Scriptures also warn about the problems that can arise from having multiple wives as seen in the life of Solomon, “And he had seven hundred wives, princesses, and three hundred concubines: and his wives turned away his heart. For it came to pass, when Solomon was old, that his wives turned away his heart after other gods: and his heart was not perfect with the Lord his God, as was the heart of David his father” (1 Kings 11:3-4). In the New Testament, 1 Timothy 3:2, 12, and Titus 1:6 all render “the husband of one wife” in a list of qualifications for spiritual leadership. If these qualifications are set forth for the leadership of the church, should they not also apply to all Christians? For all Christians have been called to be holy (see 1 Peter 1:16). Ephesians 5:22-33 speaks of the relationship between husbands and wives. When referring to a husband (singular), it always also refers to a wife (singular). If polygamy were allowable, the entire illustration of Christ’s relationship with His body (the church) and the husband-wife relationship falls apart. Toward the end of the 19th century, the experience of plural marriage was considerably different than that of earlier decades. Commencing in 1862, federal laws were passed against the practice of plural marriage in hopes to protect Mormon women and the American civilization in general. Nevertheless, there were many Latter-day Saint women who publicly defended the practice of plural marriage, arguing that they were willing participants in such practice. Following the 1879 finding of the United States Supreme Court that anti-polygamy laws are constitutional, federal officials began prosecuting polygamous husbands and wives during the 1880s. Some Latter-day Saints felt that the laws were unwarranted and became civilly disobedient by continuing to engage in the practice of plural marriage and attempting to avoid arrest. Once they were convicted, they paid fines and spent time in jail. Plural wives often separated into different households or went into hiding under assumed names when pregnant or right after giving birth in order to prevent their polygamous husbands from facing prosecution. Why did the dynamics change? The question should be viewed not so much as God no longer allowing something He had previously allowed, but rather as God restoring marriage to His original plan. Polygamous relationships were never a part of God’s original plan for marriage. God allowed polygamy for a time to “raise up seed” unto Himself. In most modern societies, there is absolutely no need for polygamy. According to Romans 13:1-7, we are to obey the laws of the land. The only instance when disobeying the law is permitted by scripture is if a law, or laws contradict God’s commands (see Acts 5:29). Therefore, since God only allows for polygamy at times that He designates, and does not command that it be practiced, any law prohibiting the practice of polygamy should be upheld.